#17 - Dr. Michael Poland - Monitoring the Yellowstone Supervolcano and Predicting Eruptions — Welcome to The State of The Universe! 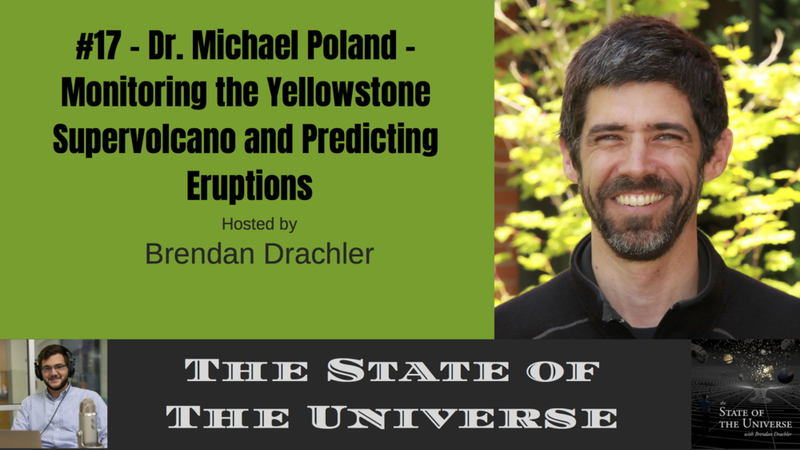 In this week's episode Brendan sits down with volcano expert Dr. Michael Poland. Mike is a research geophysicist with the Cascades Volcano Observatory and the current Scientist-in-Charge of the Yellowstone Volcano Observatory. Mike has taken part in studies on a variety of volcanic systems in the United states, including Mount St. Helens and other volcanoes of the Pacific Northwest, Kilauea and Mauna Loa volcanoes in Hawaii, and the Yellowstone caldera. Learn more by visiting the Caldera Chronicles here.